Congratulations Hamilton County CVB and Visit Estes Park for winning 2013 Davey Awards! Both winning entries were selected by the International Academy of the Visual Arts, consisting of top-tier professionals from a "Who&apos;s Who" of acclaimed media, advertising, and marketing firms. Entries are judged to evaluate distinction in creative work and on their merits based on a standard of excellence as determined by the IAVA. It&apos;s wonderful to see Hamilton County CVB&apos;s and Visit Estes Park&apos;s hard work acknowledged with this award - congratulations to both and here is to many, many more. Megan George is an Events & Marketing Manager for Simpleview. 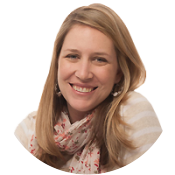 Megan is not only responsible for the Annual Simpleview Summit and tradeshows, but also the management of the User Groups and Industry Advisory Board.